Google’s move towards encrypted search last September has left the online world reeling and searching for alternative sources of keyword information. It looks like online marketers are about to lose more keyword data from yet another source. 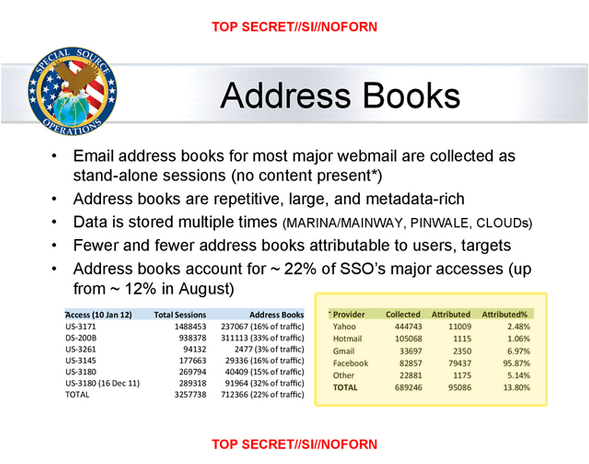 This slide shows the NSA’s access to a variety of online address books, which includes Microsoft’s Hotmail. 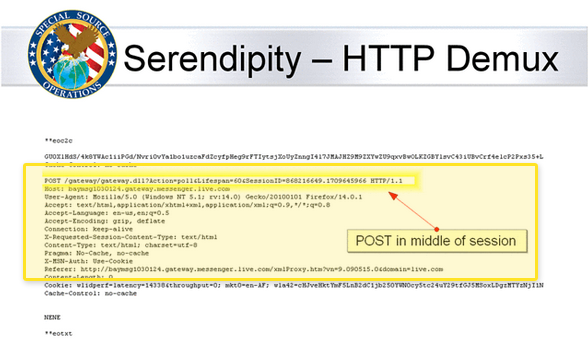 This slide shows an email message accessed by the NSA on Hotmail. Many webmasters, website owners and online marketers are currently relying on the data from other search engines and from third-party analytics programs to gather keyword traffic information. Microsoft’s move towards more secure search will limit your resources further following Google’s move and Yahoo!’s announcement of allowing users to opt in to encrypt their information. I’ve already discussed in a previous blog how you can address the loss of organic referral data. The good news for our partners is we’ve prepared for the further encryption of organic search referral information. This means you will continue receiving detailed information about your organic search traffic in your reports and proposals, and we will continue finding new keyword opportunities for your campaigns. Talk to your account manager today to discuss your SEO strategy. Remember to sign up for free and become our partner today to gain access to our complete SEO suite and our powerful white label dashboard. Keep checking back for more updates and tips!